Of the 325.7 million people in the United States, about 30% have a poor credit score. That puts the count to more than 97.7 million! With such a huge number, it's likely that you belong in this group. And that you've suffered the consequences of having poor credit. Credit that ranks anywhere lower than 601. One such effect of bad credit you've possibly encountered is difficulties in having a loan approved. You may even have received multiple rejections because of this. You don't have to give up though. Through payday loans with bad credit, you can still get the financial help you need. What exactly is a payday loan for bad credit though? In this post, we'll discuss the basics of such services and how you can benefit from it. Especially if you find yourself in a sudden financial pinch. So, make sure you read on! Before we continue discussing payday loans for people with bad credit, let's get into the nitty-gritty of credit scores first. And how it can make your life more difficult in today's already-difficult economy. Say you have an Experian credit score lower than 670 but higher than 579. Did you know that lending institutions already consider you a "subprime borrower"? In other words, lenders look at you as a higher-risk borrower. This means that you have low chances of receiving approval for traditional loan applications. And even if the lender does approve it, you'd still face seriously high interest rates. Bring the score down further, say between 300 to 579. According to Experian, 17% of consumers in the U.S. fall within this range, referred to as "Very Poor." In this case, your chances of getting a loan application rejection is really high. In the unlikely event the lender does give you a green light, you should prepare yourself to pay the highest interest rates. That and/or fees and deposits. But that's not all. The impact of poor creditworthiness goes beyond loan applications. For instance, a bad credit score also affects your chances of securing that apartment you want to rent. It can also lead to skyrocketing car insurance rates. You may even feel the consequences when you see the very limited options you can select from when choosing cellphone services! As you can see, bad credit is something more than just a low score. It's a measurement of your trustworthiness in repaying your debts after all. A set of numbers indicating whether you can rely on lenders for help in times that you need financial aid. We're talking about traditional lenders though. The good news is, you'll find other financial institutions that'll offer you short term loans with bad credit. And those are the payday loans we've mentioned in the beginning of this article. Now that you know how massive (and many) credit score-related problems are, it pays to know what and how you can get a payday loan with bad credit. Payday loans, at their core, are short-term funding programs. You'll find these in varying terms, although most of them require you to pay back the capital with the interest within your next salary. Hence, the term "payday" in its name. Payday loans with bad credit, as the name already suggests, are specifically for people with poor credit. These financial services don't take into account the borrower's credit score. 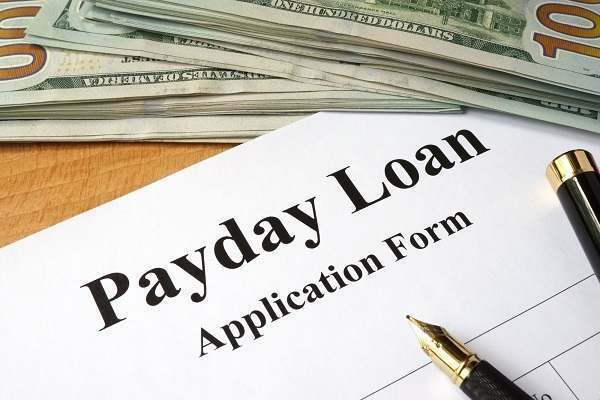 Even with a credit score of say, 500 (which traditional lenders already consider very poor), payday loan lenders will still qualify the borrower. The biggest benefit of payday loans for people with bad credit is their quick approval process. Just think about it. When you apply for conventional loans from banks and credit unions, you'd have to wait many days, weeks, and even months to receive an update. And if you have poor credit, then you most likely will receive bad news. With a $1000 payday loan, you'll know right away the status of your application. Some lenders will shoot you a message about your application in as little as 24 hours. The best part? The news is often good - which means you're approved. You'll get the funds you need soon after, or within the next business day. How's that for quick and easy access? Because payday loan lenders don't factor in bad credit scores, then you can already expect minimal requirements. This means much fewer documents and paperwork to gather and submit. At the very least, you only have to complete the application form and provide details of your current employment. You'd also need to give them your bank account info. The lender will use this to send your requested funds to. Again, the terms and conditions of such quick and easy loans vary. But in most cases, you don't have to deal with a lot of strict and rigorous loan processing must-haves. And there's also the fact that you'll know right away whether you qualify or not. All these good things about payday loans for people with bad credit may have had you excited. Before applying for one though, it's vital you also know their drawbacks. First and foremost: Make the repayments on time. As you would with a traditional loan, you need to pay back the money you owe on or before the due date. This is even more important for a payday loan, since these services usually come with higher interest rates. Next, keep your loan applications at a minimum. While payday loans are really helpful, especially in times of emergencies, you shouldn't put complete reliance on them. Again, they're short-term loans, so use them only as needed. Applying for payday loans with bad credit is a good idea if you suddenly find yourself facing an emergency. Think sudden hospitalization or a soon-overdue bill. At the same time, you should still practice care and caution, seeing as you don't want to wallow in more debt you can afford. Want more info on payday loans? Then check out this blog. You'll find more tips and tricks there when it comes to securing a signature loan even with poor credit.